Enjoy the Holidays in OKC! Welcome to December! We here at Bin There Dump That are so proud to be part of a community that hosts wonderful traditions and family events for the holidays. 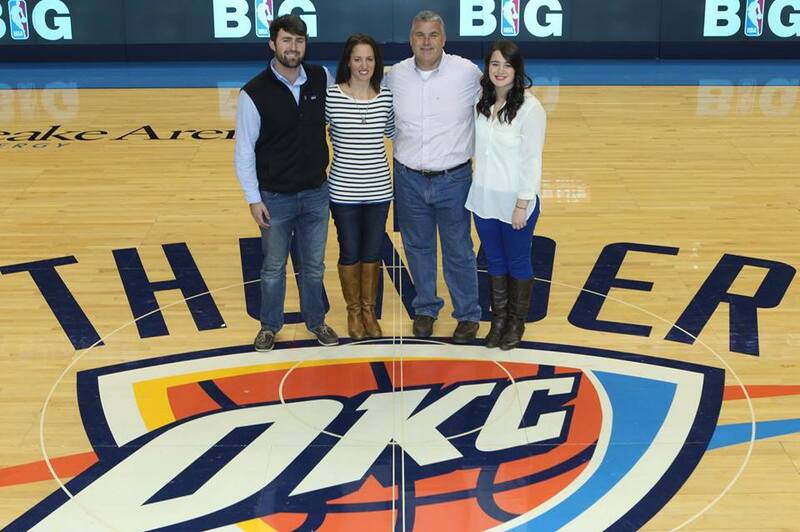 Join us this month as we enjoy the holidays in OKC. 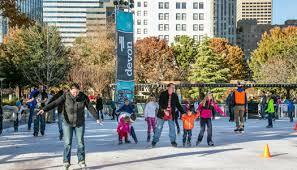 The Myriad Botanical Gardens is the location for the annual Devon Ice Rink. Open 7 days a week, outdoor ice skating downtown is a fun outing for the family and they include the skates in the $12 admission. Also fun for all ages is snow tubing at the Chickasaw Bricktown Ballpark. Rides are $14 per ride and a smaller slide is provided for the little ones. In addition to the tubing there is a Santa’s Workshop, children’s train and hot chocolate to sip on. 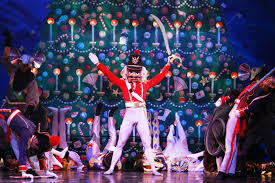 Oklahoma City Ballet presents The Nutcracker this month at the Civic Center Music Hall. The story of Clara, the Nutcracker Prince and Sugar Plum Fairy is a beautiful performance every year, with the OKC Philharmonic accompaniment, making it a treat for the eyes and ears. Two shows on December 7th and 10th at 2pm and 7pm. Single 2pm shows are December 11th and 18th, and single 7pm shows on December 16th, 19th and 20th. Thirty-five Oklahoma owned shops will ‘pop up’ in Midtown for holiday shopping. Entry is free and opened every Thursday through Sunday until Christmas. Located conveniently at 10th and Hudson, with abundant parking, this is a great opportunity to check off those gift lifts while downtown. While downtown and after the activities and shopping, don’t miss the stunning light displays! Automobile Alley at Broadway, between N.W. 4th and 10th, boasts more than 180,000 colorful LED lights. Film Row will also be lit up and you can enjoy from now until January 1st. the Bricktown Canal is all dressed up for the holidays and perfect for a stroll after dinner. 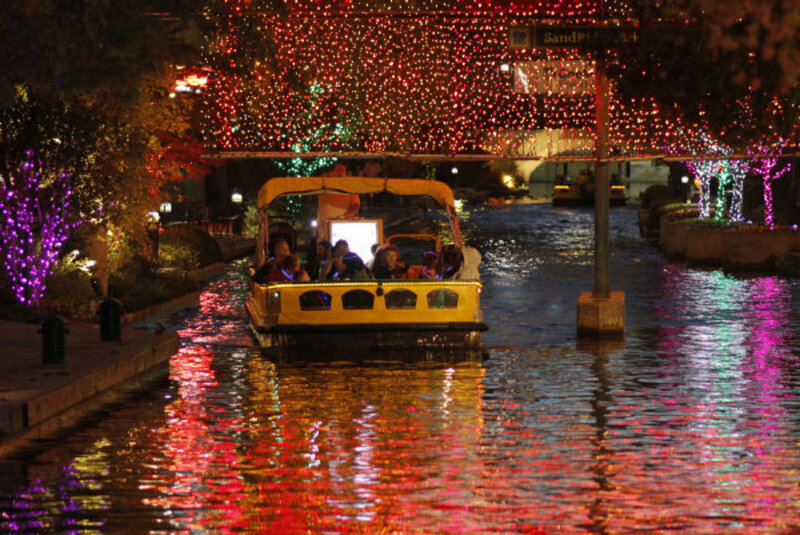 Water taxi rides are another way to view the lights along the canal, and Thursdays through Sundays until December 31, tours are free, 6pm to 9pm. We are here for you so you can fully enjoy ALL of these holiday events! This time of year brings about extra items, not to mention the disposal of that Christmas tree, so schedule one of our containers today. Bin There Dump That wishes you and yours a very Merry Christmas and we’ll see you next year! Be sure to check us out on our Facebook page! 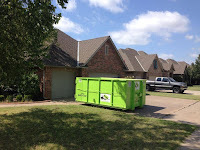 Now is the time in Oklahoma to winterize our homes and Bin There Dump That is here to help, saving you time and money while making the process simple. The ideal time to start cleaning up the yard is before the first freeze. Start by collecting fallen leaves and trimming overgrown trees and bushes. 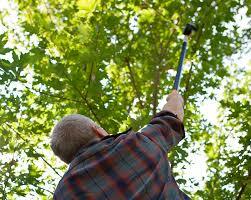 Unnecessary branches may be susceptible to damage from ice or snow which can endanger the entire tree or bush. 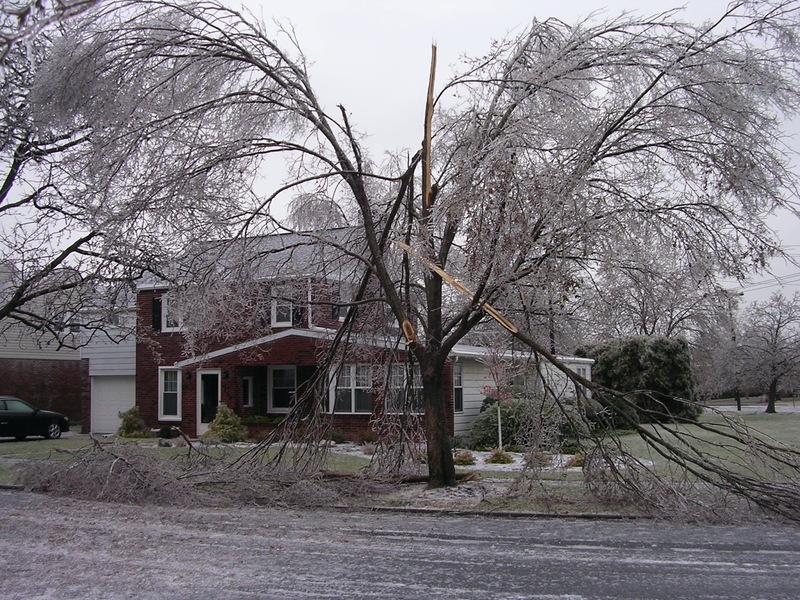 Additionally, even small branches can cause damage to your house, or other structure, if a they accumulate too much ice and fall. 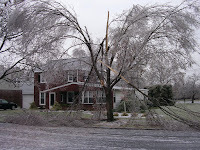 Therefore, be sure all branches are trimmed a safe distance away from your home. Our 4 yard and 6 yard containers are perfect for the numerous piles of leaves and bulky branches, making disposal quick. Instead of having to break up branches and waiting weeks to eliminate all of it, Bin There Dump That completes your job by saving you time and money. Roofs should also be made ready for the winter months. Snow and ice may result in costly leaks due to missing and worn shingles or tiles. Another important task is clearing out the gutters. Debris builds up in gutters and water will not flow properly away from the home, leaving it at risk for ice damage. The debris in the gutters, everything from rocks and sediment to leaves, can be added to the old roof material in our convenient containers and hauled away once you are done, making winterizing simple! Preparing your home for the winter doesn’t stop with the outside. The change of seasons means change of air filters. To keep the energy costs low, weather stripping should be updated around doors and windows. Older, drafty windows may require replacement to more efficient ones. All the old weather stripping, windows, and air filters can be disposed of quickly with Bin There Dump That. Finally, scraping the windshield of a vehicle is never fun and the defrost is never quick enough! NOW is the time to clear out the garage, making room for the parking of vehicles. The items that have accumulated in the garage can be easily cleared with the rental of one of our containers. Unused items will no longer be in the way of keeping the car guarded from the winter weather. No matter if the job is big or small, our containers can handle the job of preparing your homes for winter. Making the home safe and energy efficient is easy with Bin There Dump That. 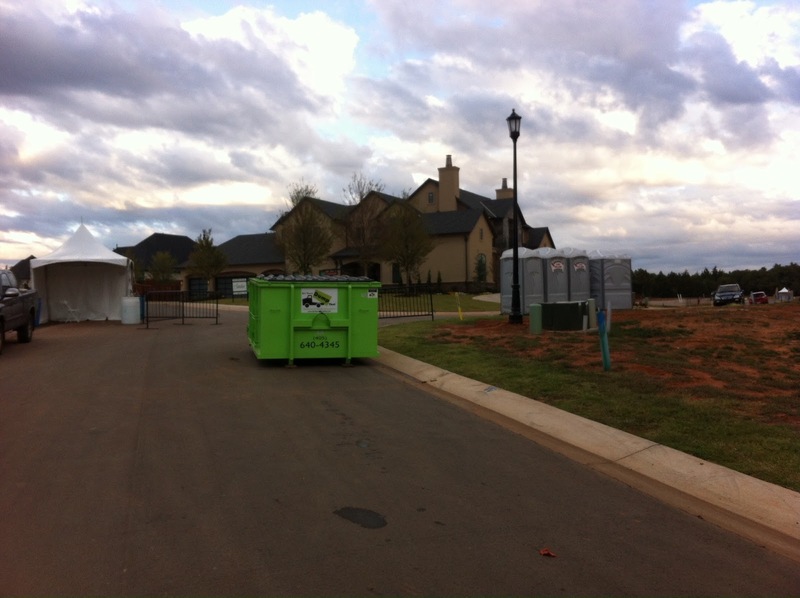 Bin There Dump That - Oklahoma City is proud to be a sponsor for the 2016 Street of Dreams hosted by Central Oklahoma Home Builder's Association. 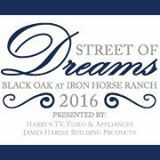 The Street of Dreams is located at Black Oak at Iron Horse Ranch in north Edmond. 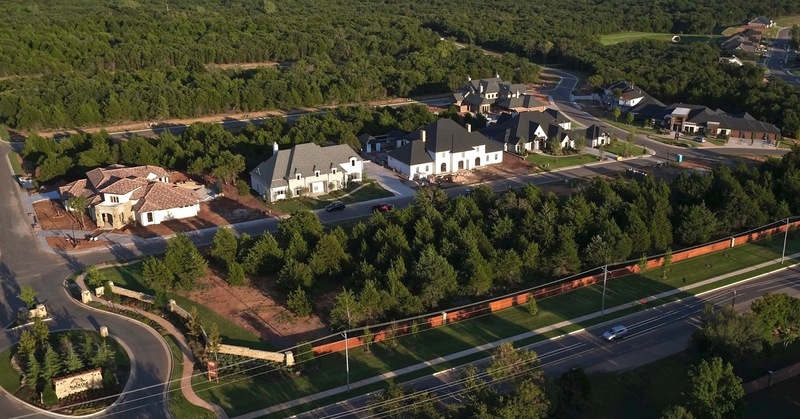 Some of Oklahoma's elite builders will showcase seven luxurious homes. The homes can be toured October 15th through October 30th with proceeds benefiting Edmond Public Schools. The entire family is invited to enjoy the event! Participating builders this year are Allenton Custom Homes, Rader Building Co., Adams KirbyHomes, Silver Stone Homes, Avalon Custom Homes, Willco Homes, and Authentic CustomHomes. Homes range in size from around 5,000 to 9,000 square feet. From traditional to contemporary and even Mediterranean, the homes are unique from one another. The wonderful amenities you will see are industrial appliances, guest suites, see-thru fireplaces. Some exceptional features include a regulation bowling lane, a built-in wine room, and even an indoor rock climbing wall!! Every Monday through Friday, homes will be open 1pm to 7pm. On Saturdays, the homes can be viewed between 10am and 7pm. Sundays, the homes stay open from 12pm to 7pm. Tickets for the Street of Dreams are $25 for a Single Day Pass, $45 for a Weekend Pass, or $50 for the Super Pass, good for any day of the event. Advance single day tickets can be purchased online at streetofdreamsok.com for $20 or by visiting Harry’s TV, Video & Appliances. No charge for children, 12 and under, plus there will be a special Trick or Treat Day on October 30! $5 off one adult ticket per child in costume. A Block Party Night will be held on Friday, October 21st. On-site parking is available on weekdays, but a convenient shuttle is provided for Saturdays and Sundays from Centennial Elementary School, located just south of Street of Dreams. 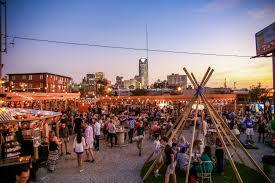 Besides the exceptional homes, there will be a food truck park set up each day! The Great Panini, That Pie Truck, A Latte Love Coffeehouse, Phil Me Up Cheesesteaks are just a few of the yummy choices attendees will have. As the only event of its kind in the state, this should not be missed. We hope to see you there! 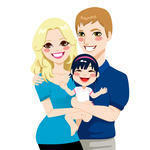 Life comes in stages with new jobs, marriage, home ownership and having a family. During those stages, we accumulate stuff. In fact, according to the L.A. Times, the average American household has 300,000 items! Bin There Dump That is here as your helper during life's journey when the once necessary stuff needs clearing out. 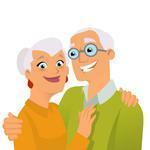 The start of a marriage brings about the combining of a couple's belongings. Our homes now have more TVs than people, USA Today reports. When furniture and appliances are shared, instead of used in separate homes, the removal of the extra items is needed. 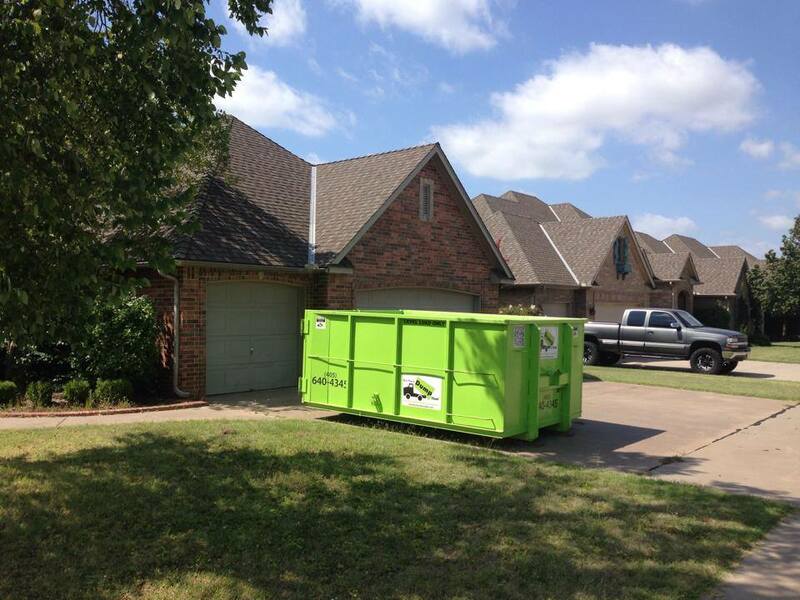 We make this process simple by providing a dumpster on your property for easy disposal of those items. There is no need to worry about renting a vehicle large enough to transport the items. No need to locate a dumping facility in your town for legal discarding. We handle both for you. The decision to have children is a momentous one. Preparation starts in the room intended for the nursery. This room may have been used for exercise equipment or an extra bed and space needs to be made for a crib. Being parents also calls for baby proofing a home. That glass coffee table you enjoyed as newlyweds isn't the best choice with a toddler in the home. Sometimes yard sales are not timely and we help you remove extra furniture and equipment from your home so you can create that nursery and make your home safe. As we proceed down life's path, our homes grow. In fact, NPR reported our homes are almost triple the size as 50 years ago. During the next part of this stage, toys ultimately find their way to an attic or even the garage. The U.S. Department of Energy estimates 32% of two-car garages can only hold one vehicle due to storage of items. We can help when you need to clear out this area in your home. The kids have grown up and moved away. You are possibly facing positive equity in your home and a smaller one is appealing for ease in upkeep. The extra living room or playroom don’t make much sense anymore when your Things To Do list includes traveling the world and visiting the grandchildren! Bin There Dump That will make this stage as easy as the others, helping you eliminate the unnecessary items. We will be your helper through life, making every transition as smooth as possible, so you can accumulate wonderful memories instead of just stuff. You deserve a knowledgeable operator, not an automated phone system. You need a person who is familiar with their equipment and material weights to keep from placing both parties in a bind. When operators inquire about the type of materials you will be disposing, they are watching out for you. They need to know this information to avoid concerns with regulated materials and weight issues. When you contact Bin There Dump That, feel confident you are speaking with a company with a wealth of knowledge. Your local Bin There Dump That owner has delivered thousands of dumpsters and is part of a network that has delivered well over a hundred thousand dumpsters. If your operator is not asking questions, it should be a red flag that you may not be ordering from an experienced company. If you are trying to adhere to a schedule, it will be important to know how many trucks a company runs. The very nature of the business is tough on the equipment and repairs to these heavy duty vehicles can take much longer than a typical vehicle. It is not uncommon for a truck to be down 2 weeks to 4 months due to lack of parts or difficulty in diagnosing them. Therefore, you will want to inquire about the fleet size of the company so you are not left with a dumpster sitting much longer than expected. The vast majority of Bin There Dump That locations have multiple trucks and those that do not have a large network to rely upon for assistance should they find themselves in a bind. It is very important that you only hire a dumpster company who is well insured with both General Liability and Workers Compensation insurance. Trust but verify is the motto to follow in this case. With franchises like Bin There Dump That, rest assured that we have a Home Office not only requiring but also verifying that each location is maintaining adequate insurance. When ordering from individually owned, single location operators, protect yourself by requesting Proof of Insurance for both General Liability and Workers Compensation coverage. This will protect you should the truck damage your property or if a worker is injured while delivering the bin. Just because dumpsters are hauling away trash doesn’t mean they have to be ugly. While it is impossible to keep a dumpster immaculate, you shouldn’t have to settle for dumpsters that haven’t seen a paint brush since Y2K was a concern or has rust holes in the walls. Sadly, the bar of expectation is not high for dumpsters yet the dumpster industry seems to miss it frequently. At Bin There Dump That, we do not want to be an eyesore for the neighbors and routinely repair and paint our dumpsters to keep them in good condition. Each Bin There Dump That is locally owned and operated. The owners live in the community and employ other residents. We care about our community and are active in the community. The majority of the dumpster businesses you find on the internet, or phone book, are brokers who are not local. These brokers will subcontract to local dumpster companies. This often means they are not in-touch with local laws and issues. Separating the local dumpster provider from the actual customer, can create some issues with miscommunication, lack of knowledge whether the equipment and materials are a match, and scheduling delays. Additionally, you will be paying a higher price for a lesser service. Following these tips should help you identify an experienced, reputable dumpster provider making your experience an enjoyable one. Rent a dumpster from Bin There Dump That and you will have the peace of mind that everything will be taken care of for you. Spring is upon us again. How can we not be excited in Oklahoma City! This spring will bring us a new white water rapids course at the Oklahoma River! As well as, the return of Heard on Hurd, paddle boarding at Lake Overholser, Bleu Garten, outdoor concerts, and all the great outdoor activities Oklahoma City has created over recent years. While warmer weather is welcomed with open arms, it also means storm season. In Oklahoma, that means wind and hail! There are several things you can do in preparation for the coming storms which will help you minimize potential damage and reduce your stress in the event of damage. Clean out the garage! De-clutter your garage so you can park your vehicle in the garage. While it is impossible to protect all of your property from damage, this step will eliminate the headache of dealing with an insurance claim and coordinating hail damage repairs to you vehicle. Bin There Dump That Oklahoma City has several dumpster sizes available starting as low as $280; which is less than half the cost of most deductibles. 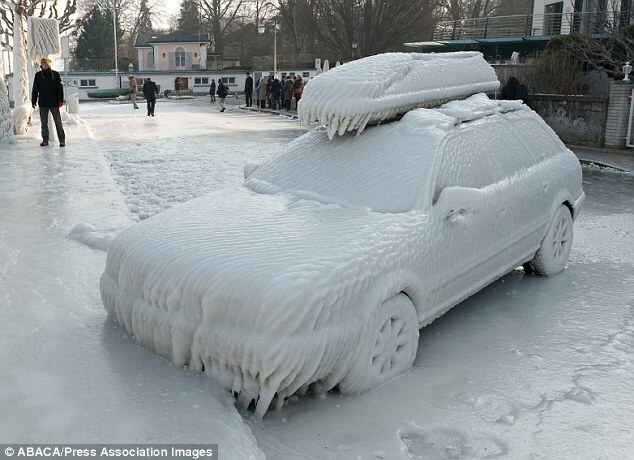 Additionally, you can enjoy the benefits of getting into a cooler car in the summer and warmer car in the winter! 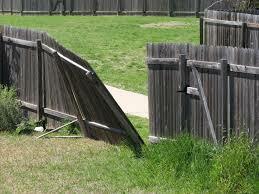 Repair any broken fence posts. As many of us still have the wood fence post, we all experience broken posts from rot at ground level. While replacing a post is a hassle, doing it now will save you additional work and costs in the future. Delaying the repair can cause adjoining posts to break under the additional stress; as well as, cause panel damage should the fence fall. A couple hours of labor and $15 can typically prevent additional damage. Trim overgrown trees. Trim overgrown trees and bushes; especially, those touching your house or roof. 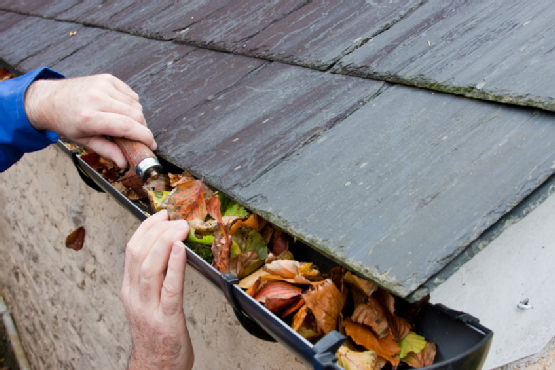 Trimming will prevent damage to roofs, gutters, and siding from rubbing damage caused by them swaying in the wind. Additionally, reducing the area the size of the tree will help reduce the stress it sustains in the wind. Trimming helps trees and bushes stand-up to wind gusts. Clean-up excess yard debris. 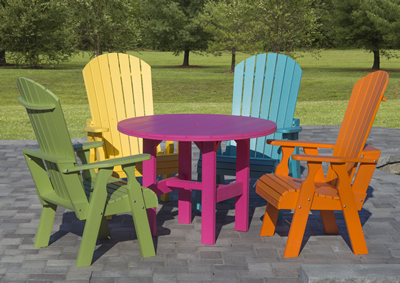 Dispose of unused, broken items in your yard such as grills, trampolines, patio furniture, swing sets, or other miscellaneous items. This will prevent unnecessary damage to your property. 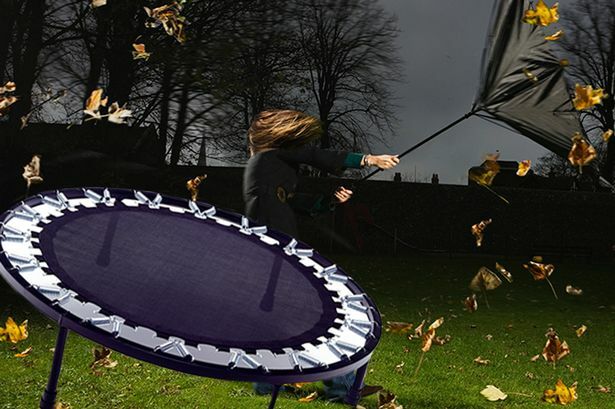 These are items which are prone to go airborne in high winds. If these items are still in good shape and being used, ensure they are properly anchored or securely stored. Roof damage recognition. Determining hail damage to your shingles from the ground can be tough. Typically, if you can see the damage from the ground it means the damage is severe. Often, collateral damage can assist you in determining the extent of damage to the roof. Check your gutters, window screens, garage door, siding, and other surfaces for damage. If you suspect you have hail damage, contact a roofing company to arrange an inspection. Oklahoma City has many experience roofing companies who can assist you in identifying damage and help you determine the best course of action to address the damage. Most roofing companies in the Oklahoma City Metro provide free inspections. Do you ever wonder what happens to the materials you place in your recycle bin? What do they become in their second life? Metal and paper is by far the most versatile materials to recycle. The different metals are melted down and reused for everything from soda cans to car parts. Paper products are ground to pulp and remade into products from printer paper to egg cartons. However, other products have a more interesting second life. Styrofoam has recently found new life in becoming surf boards and paddle boards. So next time you get that Big Gulp form 7-11, find a place to recycle it! 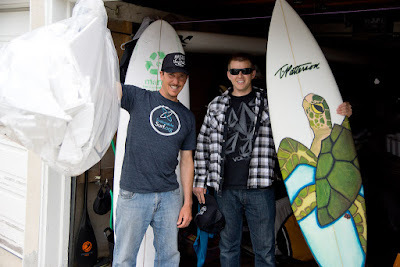 It might just be surging the waves in Hawaii some day!